Tasty organic granola minis with chocolate chip. A perfect snack to bring in your bag whenever you need to recharge your energy. These mueslis are slow to digest, keeping you fuller longer. 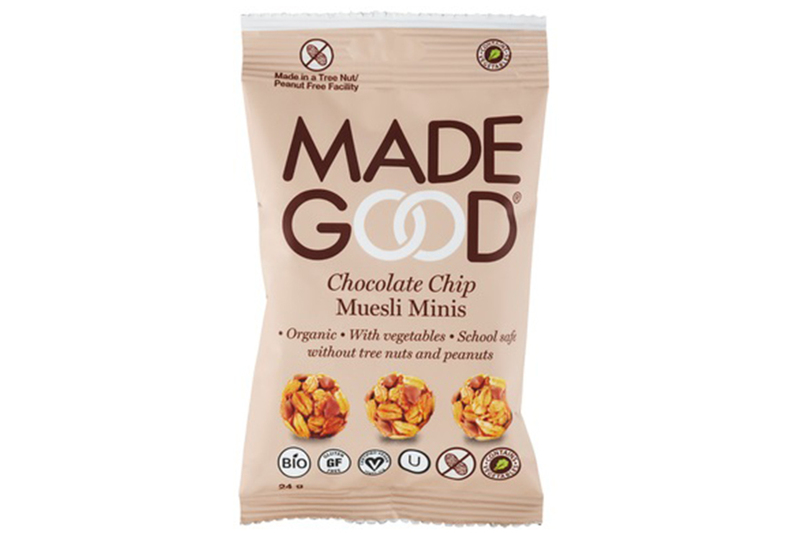 All ingredients are ethically sourced and the product are free from 8 allergens. Pure rolled oats* (41%), chocolate chips* (cane sugar*, cocoa mass*, cocoa butter*, vanilla*) (14%), sun flower oil*, canesugar*, agavenectar*, apples*, whole grain crisp brown rice*, agave inulin*, tapioca flour*, vegetable powder (spinach, broccoli, carrot, tomatoe, beet)(0.4%), shiitake mushrooms powder, chocolate flavour*, vanilla flavour*.